Did you know that by using a radio or CD player for your Music-on-Hold source, you may be breaking the law? To play a radio or commercial CD is actually an infringement of copyright laws in this country, and you could be fined. One way to overcome this is to pay the fees to APRA and PPCA for their respective licences. Another way is to use a custom-made CD with your company jingle and royalty-free music, with interspersed message. This can be quite expensive to produce, but is a very professional approach, and your callers can be receiving useful information while they are on hold. Unfortunately for this method, it is still relying on a physical disc playing continuously in a player that was not designed for continuous play 24/7, 365 days of the year. CD players will ultimately grind to a halt. Another problem is that the player will not automatically re-start after a power failure – you have to press PLAY, and select the REPEAT ALL mode – otherwise, SILENCE. a “solid state” device, that has no moving parts. can play “in a loop” continuously. easy to record music / sound tracks. will resume automatically after power failure. Pinnacle Phone and Data can supply and install an MP3 player, already loaded with a generic music file. We also have available a range of royalty free music tracks for your selection. If you wish to use a customized message with music, this can easily be loaded into the player. These are adequate for most installations, but may not have sufficient output level for some telephone systems.This player is one of the few that will automatically resume play when power is restored after a power failure. 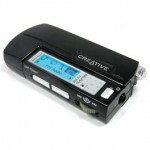 This unit offers the latest technology digital message player available. It incorporates many features required by users within the ON HOLD industry and has been designed with their help to bring the most functional unit to the marketplace. It has a built-in amplifier to accommodate a wide variety of telephone systems. 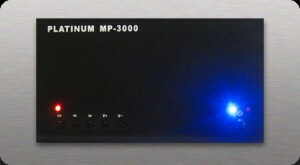 The Platinum MP-3000 will automatically start when a media source is present. It will re-start automatically after any power interruption. The Platinum MP-3000 has minimal power consumption. There are no moving parts that can wear out during operation. The volume control is digital, and has been placed on top of the unit for easy adjustment and access by the user. Pinnacle Phone and Data can supply and install the player, as well as installing the connection to your telephone system, and programming your system to use the new external music source.